Kate Aspen's Double Heart Trinket Dish is a sweet representation of the union of two hearts. 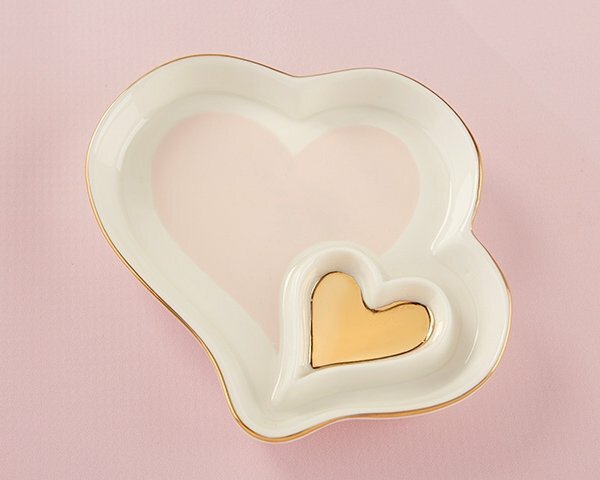 Featuring a large pink heart connected to a smaller gold heart, this ceramic trinket dish is perfect for bridal showers, weddings or even as a bridesmaid gift. 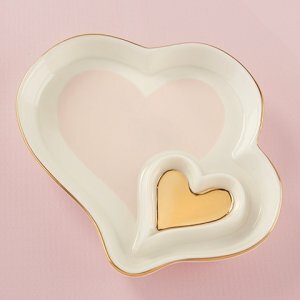 White ceramic double heart trinket dish with gold foil trim. The big heart has a light pink insert, while the smaller heart has a gold foil insert.